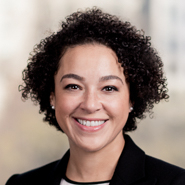 Associate Stacey Halliday (Washington, DC) was recently selected by the National Bar Association (NBA) as one of the 2017 recipients of NBA’s “40 Under 40 Nation’s Best Advocates” awards. The awards recognize the nation’s top lawyers under the age of 40 who exemplify a broad range of high achievement in the legal field, including in advocacy, innovation, vision, leadership and overall legal and community involvement. Hundreds of attorneys were nominated for this prestigious award. The recipients will be honored at a black-tie awards gala on August 2 during the NBA’s 92nd Annual Convention in Toronto, Canada.